While its primary function is to shelter cars, many Americans use their garage for alternative purposes such as household storage, hobbies (e.g., working on cars, woodworking, or getting fit) and home improvement projects. 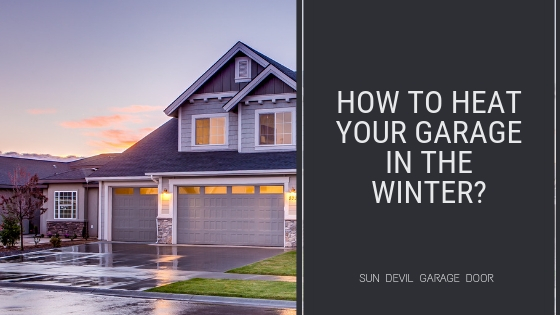 If you will be spending time in the garage this winter, you very well may want to consider effective methods for heating the space, thus ensuring your comfort. Currently, Valley residents are experiencing a much colder winter, with highs hovering between 60-70˚F. It’s cool enough for sweaters during the day and jackets at night. Many people preset their thermostats to a specific, comfortable temperature, so when temps drop below that the heater auto turns on. However, the garage is typically not considered “living space,” because it lacks a conventional heating system. You will need to find alternate heating sources for the garage. Before taking any other measures, or shopping for a unit, calculate the space and consider your comfort level. Before purchasing a garage heating system, invest in an insulated garage door to reduce heat loss. Along with helping to regulate your garage’s temperature in the winter, an insulated garage door provides additional benefits such as quieter operation, soundproofing and increased structural integrity. 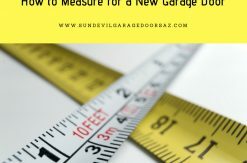 Two numbers to pay attention to when shopping for an insulated garage door are its R-Value (higher ratings are best) and U-Factor (lower ratings are best). These factors determine the material’s effectiveness. There are two types of insulation used in these doors: polystyrene vs. polyurethane. An insulated garage door is only one part of the equation. Insulate the walls and ceiling, as well as air seal the entire area, including replacing weatherstripping around the garage door. Since you will likely need to drill small holes into the drywall, the recommended strategy is to hire a professional insulation contractor. They will be better able to assist you in the installation of either blown-in or spray polyurethane foam insulation. Inch for inch, they provide affordable R-values, and heat retention. This makes both insulation types ideal for heated garages. SPF has the added benefit of sealing air leaks. When researching your options for a garage heating system, you have several choices for reliable, energy efficient warmth. Base the decision on your own individual preferences. Popular choices for the garage include forced-air heaters, propane heaters, ductless heating and cooling systems, or portable heaters. Some of these may require professional installation while others are do-it-yourself friendly. The U.S. Department of Energy has tips on buying and installing portable heaters. Always follow manufacturer’s directions when using any heater in the garage.